Family Volley: A GIVEAWAY - HOLIDAY GIFT GIVEAWAY HOP! 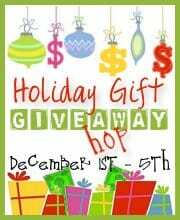 A GIVEAWAY - HOLIDAY GIFT GIVEAWAY HOP! With Christmas right around the corner, who doesn't want a little help with their shopping. Whether you want to use your winnings to buy gifts for family and friends, or for yourself, these two stores have something for everyone. A $25 Gift Card to Target. The greatness of Target is pretty self explanatory. They have everything I need for any occasion. It is my one stop shop. I can get my groceries, clothes, b-day gifts, school supplies, you name it. Plus, I save money when I shop there. 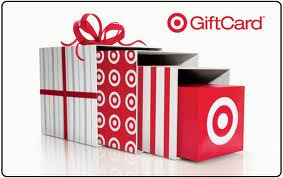 The greatest part about Target Gift Cards is that they don't expire and you can use them at any Target or Super Target store on online. Jasmere seeks out lesser-known specialty retailers that deserve national attention and offer their products at an exclusive discount. Up to 70% off. There are new deals everyday, and when I say deals, I mean unbelievable, can't pass up deals. With over 19,000 Facebook followers, this site is the place to be. Jasmere has some of the best deals I have ever seen. And you don't have to be a member to buy and benefit. Become a follower of Family Volley through Google and leave me a comment telling me you follow. 1. Like Family Volley on Facebook. That's it. Quick and easy. Jasmere is only valid in the US. If you don't have a Target, you can shop online. Or, no matter where you live, win and you can give them as gifts. This giveaway will close on Sunday December 5th at 11:59 pm. Winner will be announced on Monday December 6th. I didn't receive any compensation for this giveaway. I became a follower. I would love to win! I'm a follower! :) Keeping my fingers crossed! I follow (AND LOOOOOVE!) Family Volley! I follow You! And love the posts.. I am a new follower via google friend connect. Thanks so much for the generous giveaway! I follow through GFC as Aubrey Charlebois. I like Family Volley on FB. I would love to win this giveaway. I am GFC follower of your site and I was Born, Bred, Raised and some would say Manufactured in the USA. Like Family Volley on Facebook. I follow FV. Natasha M.
I liked FV on facebook. I follow and love this blog. Following on GFC. Same name. Liked on FB (Tressa S). I liked Family Volley on Facebook! I am a loyal follower and a loyal Targeter. Follow you via GFC. Thanks!